This week’s Featured Feline Friday from the Ottawa Stray Cat Rescue is the lovely Charlie. This sweet momma is in need of some help. Charlie came into care while she was pregnant. She is very friendly and affectionate. She’s very tiny and was born without a tail. Charlie is playful, curious, and she loves to chase little foil balls that she carries around in her mouth while chirping away. She really enjoys being brushed and will pat your hand until you scratch her ears. 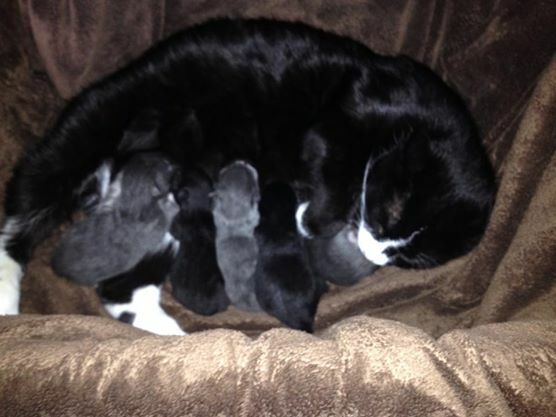 While in care she gave birth to four wonderful kittens who have all been adopted. Now she’s looking for her forever home. 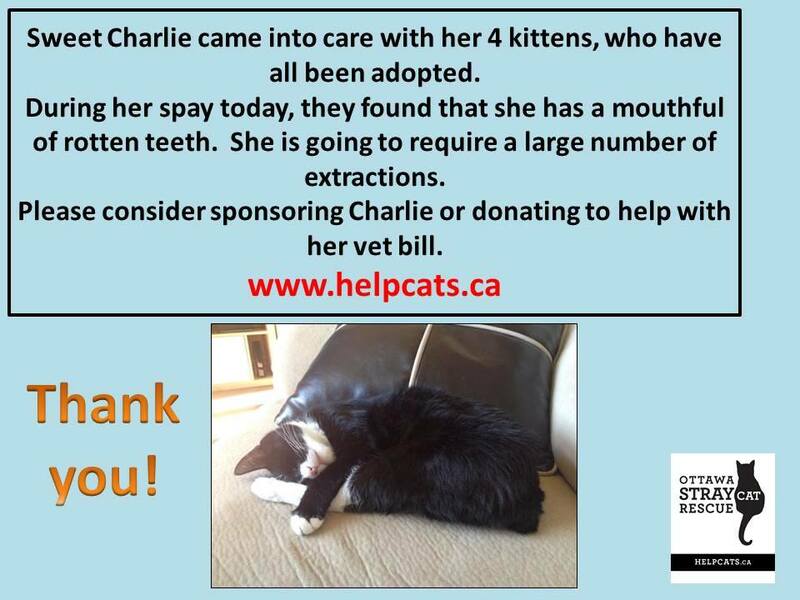 For more information or to adopt Charlie check out the Ottawa Stray Cat Rescue website!